Freeletics Running is a new and incredibly effective running program to help you become fitter, healthier and more motivated. It offers a completely new running experience suitable for all fitness levels and a personalized training program tailored to you and your goals. Guaranteed to increase willpower and performance to help you achieve greatness on your own terms. This new and effective running system helps you reach your goals faster than ever. As well as distances, it contains short, intensive interval workouts, developed by sport scientists and real athletes for fast and long-lasting results. Freeletics Running is built on motivational mechanisms to help you stay motivated throughout your journey. The top-rated Freeletics App already has a community of over 7 million passionate athletes worldwide who support and motivate each other every day. Current users can log into Freeletics Running with their Freeletics Bodyweight account details. 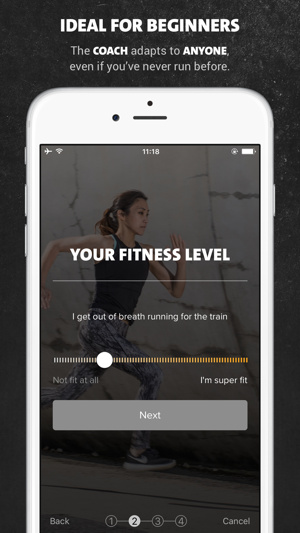 You can download and start using Freeletics Running free of charge. 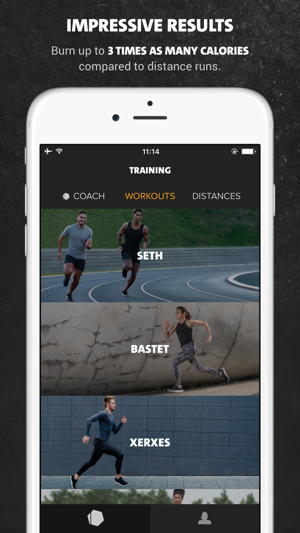 Even as a free user, you can access 4 of the 12 running workouts as well as all distance runs and the free run feature. With the Freeletics Running Coach you have a known and proven training program. 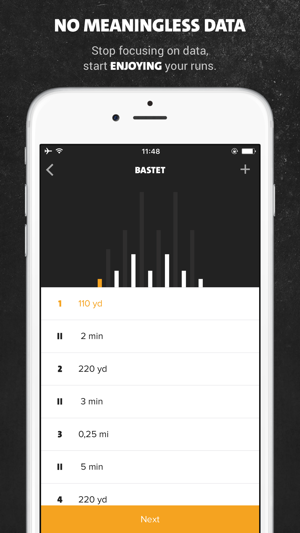 You’ll receive access to all workouts, as well as an individual training plan based on your fitness level and goals. Week by week, with detailed training instructions telling you what, when and how to train. If you decide to subscribe you will pay the price set for your country, as show in the app (subscription of 3 months (34.99$/25.99£), 6 months (59.99$/44.99£) or 1 year (79.99$/59.99£)). The subscription automatically renews if it is not cancelled within 24 hours before the end of the current subscription period. Your iTunes account will be charged for the next month within 24 hours before expiry of the current subscription. The current period of in-app subscription cannot be cancelled. The function for automatic renewal can be deactivated at any time via the iTunes account settings. IMPROVED: Freeletics is proudly made in Europe, which means we respect your digital rights. In preparation for the European Union's data protection regulation, we made some privacy settings clearer and easier to use. UPDATE: I contacted Freeletics again (after the first time) expressing my disappointed and was offered a complete refund. I have updated my review to 4/5 stars to reflect this. 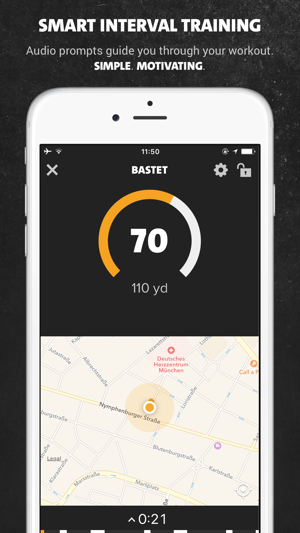 This is a great app in terms of design and user interface. But be warned: Freeletics offers poor customer service. If you are on a subscription basis, you will be charged anytime on the last day or your subscription (rather than the following day). Despite contacting their team less than an hour after this charge and explaining that I could not use their app for the next few months due to difficulties with travel plans overseas, I was told it was "against their policy" and they would not refund me. I had a tremendous experience with the app previously and was planning on returning to freeletics once I was again stateside, but they have lost a customer. I will be filing a dispute claim with my debit card because this is not only absurd (it was less than an hour after the charge) but also extremely disappointing. Don't use freeletics if you want a quality customer service experience. I grew up dancing for 14 years, then became a competitive athlete for 6 years until I sustained a pretty gnarly back injury. A bulging disk and sprained ligaments left me on the couch for the next 2 years. It was really difficult to get motivated to go back to working out, I was embarrassed to go to the gym bc of how much weight I gained, and how weak I had become. The freletics app has been so awesome at getting me back to the grind. The workouts are always challenging, but I'm free to move at my own pace. I think it's a fantastic system. My only reason for not giving it 5 stars, is bc of switching apps to get to the different areas. ... the price is high, many of my friends won't download it bc it's expensive. It's a little tricky to navigate, I feel the layout could have a better flow.. takes a lot of clicks to get around and find what I'm looking for. .. but overall I really love it so far! I've only been using it a month, but I dropped 8lbs and have been working out, and running several days a week. Thanks!! I decided to download freeletics about 4 months before I got married and the workouts were okay, Gave me some ideas but difficult to follow and keep track during the workouts. My biggest problem was I only wanted it for 6 months. I mean that’s what I chose to pay for...wrong! They were discreet with informing me that it’s an automatic renewal. Didn’t even send me an email that it was going to renew or warn me of the charge coming up, because that’s what scammers do. Their weasels that aren’t upfront or forthcoming on there conniving ways of getting people’s money. Since I wasn’t aware of the charge my card was over drafted and shut down. I requested a refund explaining what happened to my card the day I was charged and they said they were unable to give me a refund. Yeah right...Freeletics can, they just don’t want to. This is a terrible unaccommodating company and you shouldn’t use it.